I've now posted 10 Personal Coincidence or Synchronicity Examples on this blog, and have listed these below, together with their links. My aim isn't to convince anyone that these have any great meaning. They are purely genuine examples of ten of the many coincidences I have personally experienced. As to what they may, or may not, indicate is up to the reader to decide. Hopefully though they - and the other coincidence or synchronicity posts on this blog - may get the reader thinking about such things. A question is automatically answered by a coincidence. A coincidence of family dates. About an unexpected and unlikely meeting which happened by 'chance'. Dreams prepare, announce or warn about situations long before they happen. This is not a miracle or precognition. Most crisis have a long incubation in the unconscious. A coincidence of how names and dates can be linked. A coincidence of reading about the Peruvian Nazca Lines. A coincidence about identical photos. Was this a message from the dead? How an early life event coincidentally links with the present. Love your blog! May we link? You've got some great stuff here. Trish and Bob: Many thanks for your comments. Please link - I have linked to you as well. Our house number is 23/4 which adds up to 9 and our telephone number adds up to 9, something which we didn't realize till recently. Ruchi: Thanks for that. Numbers are interesting. You may have read that 'my number' is 76. It's been part of my life ever since I can remember. Stumbled onto this page and have a passing interest in coincidences. They're rather interesting but what has made your page stick out is that you posted it on my birthday. A small wink of my own! I frequently have weird coincidences myself. Often I will be thinking of a particular Bible verse, not sure what book or testament, wanting to read it but have no clue where to look. I'm pretty lazy about it, I know how to use a concordance, but inevitably the verse will turn-up on Sunday in the daily readings at Mass. This happens enough to be spooky. I'm sure I'm not the only one who thinks of someone and then that persons calls. I had a premonition (if that is what you call it) of someone dying. It woke me out of a sound sleep. I was shook by it but had no clue who died. I went back to sleep and the next morning the news was that Rod Serling of Twilight Zone fame had died overnight. I "knew" then it was him. Great Blog, good read. Thank you. There is nothing for the 6th example ? Why ? Today I was driving back home to California from Arizona and I had just finished reading all 10 of your examples on synchronicity and began thinking to myself when I've experienced something to that nature. I looked up because I thought I saw a police car parked on the side of the road. I looked behind me and saw that there was no cop car. No more then 10 seconds later I ended up seeing a police car parked on the side. All this happened literally the first time I glanced up after finishing your blog and it just got me thinking about it even more. Seems like I just got a wink from the universe. Hi M.Perry, greetings from India.Finding your blog is a coincidence or a synchronicity for me. 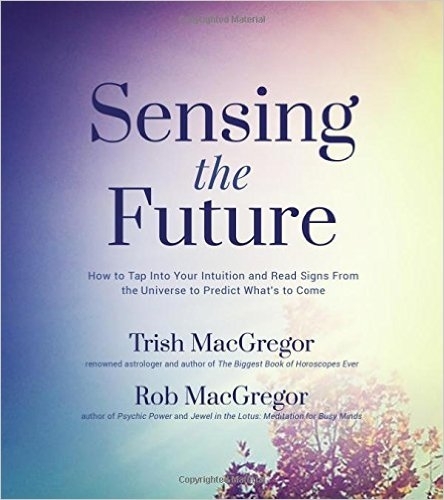 I am practicing LOA in my life and I have stated believing in synchronicity a lot. I remember last week I saw 67 written at many vehicles, pillars etc. They spoke to me like it was for me but I didn't know what. Thought I noted it down in my journal. 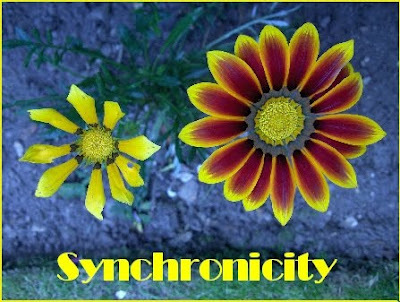 Then this week, I was brought to word "synchronicity" many times and that led me to search for synchronicity one again on Google to see if there are any new posts on this topic as I have already ready many of them. This search led me to The Daily Awe and that led me to your blog. WOW awesome!! Now why this thing holds an importance in my life because I have been trying to manifest a friend since September and I think it's close because while there are many (many of them) other synchronicity, your blog has many stories on how people came together after a while. I have read somewhere that to follow synchronicity, just be open and aware of what you are looking at, what you are reading, hearing etc. And I think this is IT!! Many thanks... your blog is awesome and I am hooked. Subscribing to it and adding it to my favorites.